I am a dog walker! And the unconditional love &amp; cheerfulness of my furry friends inspires me to look for ways to spread smiles. 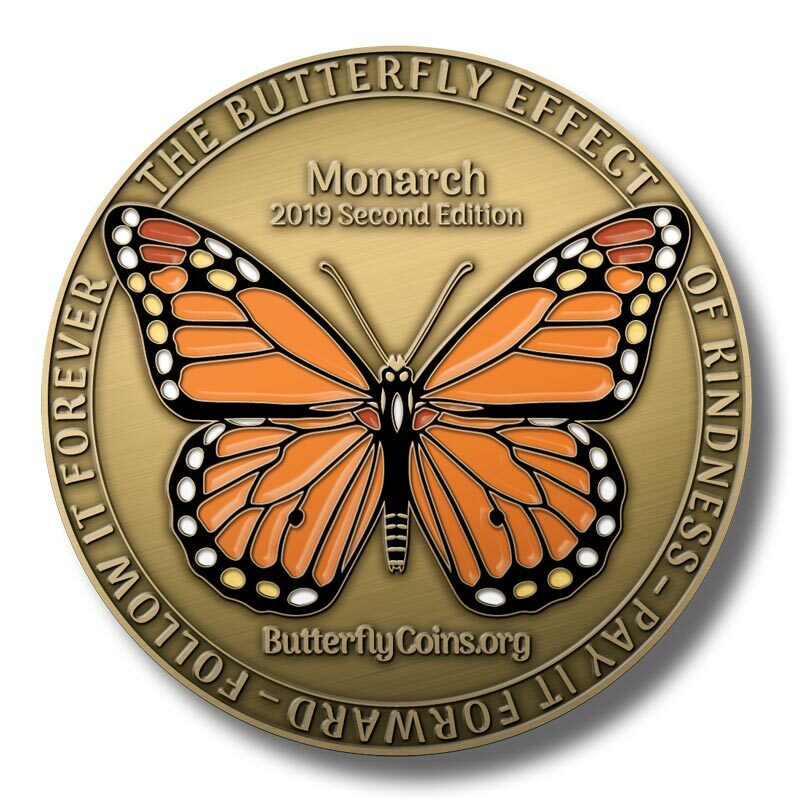 I first heard about Butterfly coins through the book crossing website, so when a fellow bookcrosser asked for one of the books I'd registered, it seemed like a good opportunity to share a butterfly coin as well. This coin is traveling by mail from Portland, Oregon to Lexington, South Carolina. From there I hope it will have an interesting and varied journey spreading good feelings. I received an unexpected & very thoughtful holiday gift from this kind Portland family. I left this coin for them with my thank you note because they seemed likely to pass the coin on with another act of kindness. So, I've been all over the site trying to figure out how to log/track my coins. When you say enter the coins tracking number from the home page, do you mean where it says "did you receive a coin"? That's the only place I see for entering the coins number, but I interpreted it to be for people who receive them along with an act of kindness, not for the original purchaser...I'm a bit confused. I see people entering info on the "stories" page but for some reason I don't even seem to be able to start a new thread there. I'm still not finding it very easy to log a "release" story about a specific coin. There's a very clear prompt to enter the coin number if one receives a coin; maybe I'm just clueless but the process to log about giving one away seems opaque. Love your username! When I was a kid, I had a hamster named “Oogledorf”.